Monday, Dallas City Council reviewed details for the implementation of the bike plan as reported by the Dallas Morning News. The gist of the meeting was that the bike plan was unrealistic and is too costly to implement. Somehow other cities across the country manage to build hundreds of miles of bike infrastructure a year, and maintain said infrastructure without busting City budgets. The fact is, for under 2% of the City’s annual transportation budget over 100 miles of bike infrastructure could be built. If you’ve been down Fort Worth Avenue lately you will find a huge opportunity missed. In November, two miles of the road were resurfaced. The bike plan calls for a bike boulevard along FWA with separated bike lanes in both directions. Unfortunately, when it came time to stripe the newly paved streets, no bike lanes were included. In more functional cities, the bike plan is reviewed before any improvements or repairs are done to a street. Bike infrastructure is then installed as part of the overall street repair. This allows for inexpensive installation of bike infrastructure as work crews are already doing work to that section of street. Unfortunately, Dallas seems to be adept at commissioning plans but has a history of failure when it comes to realizing them. The latest challenges the City faces implementing the bike plan are a symptom of a larger problem of how our City is operated. As other cities move ahead quickly with bike lanes and other bike infrastructure, Dallas risks being left in the dust. Beyond bikes, this is an economic development problem. Without transportation options, Dallas becomes less competitive in attracting new employers and the creative class who are the engines of our modern economy. 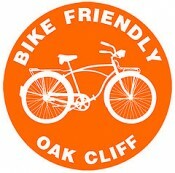 Bike Friendly Oak Cliff challenges the City to build out 13 miles of bike lanes in 2012 – that’s 1% of the overall plan. Lets not let Dallas be left behind! Bike lanes are not too costly. Toole’s senior designer, Peter Lagerwey, preached that cost of bike lanes is nil because you’re restriping anyway. Segregated lanes are cheaper than bike paths because they are re-purposed auto lanes and many of our streets are too wide for the traffic they carry. Far East Dallas has experienced what you see on Ft Worth Avenue. Bike lanes could have been added, at marginal cost, on Audelia Road and Lake Highlands Drive when they were recently restriped. Both were flagged for bike lanes in the Dallas Bike Plan. Twice disturbing is that these are in the City Council District of Sheffie O’Kane, who co-chaired the Bike Plan, and thus should have known better and would have heard Peter Lagerwey’s arguments. I write “could have” instead of “supposed to” because this area, in fact O’Kane’s entire city council district is flagged “low priority”, and thus not to be addressed for 10 years or so. Best I can figure, the dumpy lawnmower shop and liquor store between White Rock Station and White Rock Trail will soon be converted to mixed use retail/residential, as we see at many DART stations. The city will not ask the property owner / developer to put in bike access, but will provide park amenities across the street, at tax payer expense, because these improve the value of the property (and thus the profit of the developer). So, bike paths fit in the category of non-functional landscaping. What we do get are children’s playgrounds. There are two more going in this year, to add to the half a dozen or so already added in Eastlake and Northlake. These are paid with Park Funds, same as bike paths. And children rarely use them (it’s too hot and people have yards for kids to play in). Again, non-functional landscaping. My neighbors do not seem to notice or care. Many drive their cars to White Rock Lake, a distance of about 200 yards (no kidding). White Rock is crowded with cyclists, but many drive to the lake (and need to park cars) from as far as Plano and Garland. And they use White Rock Trail / White Rock Lake to make a long loop from North Dallas/Richardson/Plano. Actually, cycling around here isn’t too bad. Plenty of residential streets make lanes and paths unnecessary. 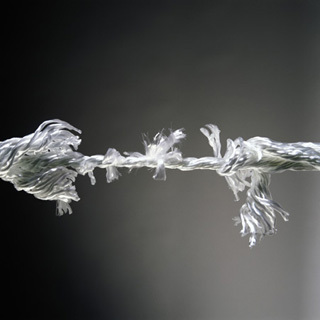 There are some key obstacles I would like to fixed, but none made the plan. One is access to cross over White Rock Creek and the DART light rail line. They put the paths along the rail, not across it. Like the 100 feet at the DART along Northwest Highway. I realize this is an Oak Cliff blog, not East Dallas. Just so you know that what you experience on Ft Worth Avenue is happening all over Dallas. Looks like the the 2011 Dallas Bike Plan will end up like the 1985 Bike Plan and the others before it–death by starvation. The Council was well aware of Lagerwey’s assertion that much of the bike plan could be implemented with negligible additional cost by adding onto existing maintenance plans. The Plan includes cost estimates of $20-30K per mile. However, it seems they did not bother to find out how much the City currently budgets for re-striping. The city has now said that figure is $871 per mile. Perhaps Lagerwey was looking at a 2% increase in the City’s transportation budget and considers that to be insignificant. But that money still has to come from somewhere. If it means few potholes get filled, that’s bad for cyclists too. I’m not sure I follow. If you still have the same number of cars (approximately) traveling over fewer lanes, wouldn’t that increase maintenance? No. First of all, when you reduce capacity for one mode, and introduce a new mode, volumes level out so you’ll see a reduction in number of cars. That’s because as you restrict widths, people drive slower and by default, people will look for the least path of resistance when commuting. Take a road like Forest Lane as an example, if it’s reduced to 4 lanes from 8, the people that actually live in or around the area will continue using the road, but people that simply use it as their passthrough route, will find another route. Also, streets have to be resurfaced every 14 years, regardless of traffic counts…if you have a 6 lane road with 10,000 cars per day, or a 4 lane road with 10,000 cars per day the maintenance window doesn’t increase. If you get a chance, read Tom Vanderbilt’s Traffic. It analyzes this phenomenon in depth citing examples of major highways that have been taken off line due to earthquakes, or structural damage. The assumption is that you’d have carmageddon…the reality is the traffic finds new ways, and a large portion of commutes that are not mandatory stop (which promotes local buying, businesses, walking, biking, etc. ).